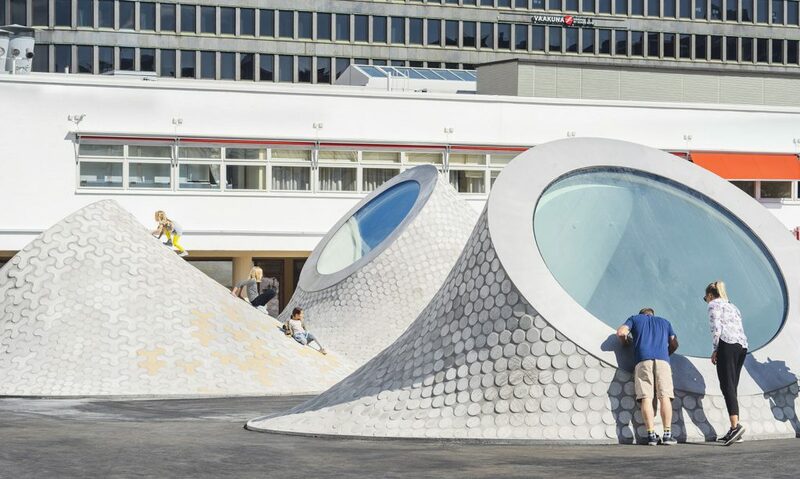 Architects and artists love the freedom to work their magic on public spaces. From large urban squares to national park sculpture trails, creating an innovative design that is inclusive can be a life-dream for many in the arts, architecture and design industry. Take a look at the selection of our favourite projects. 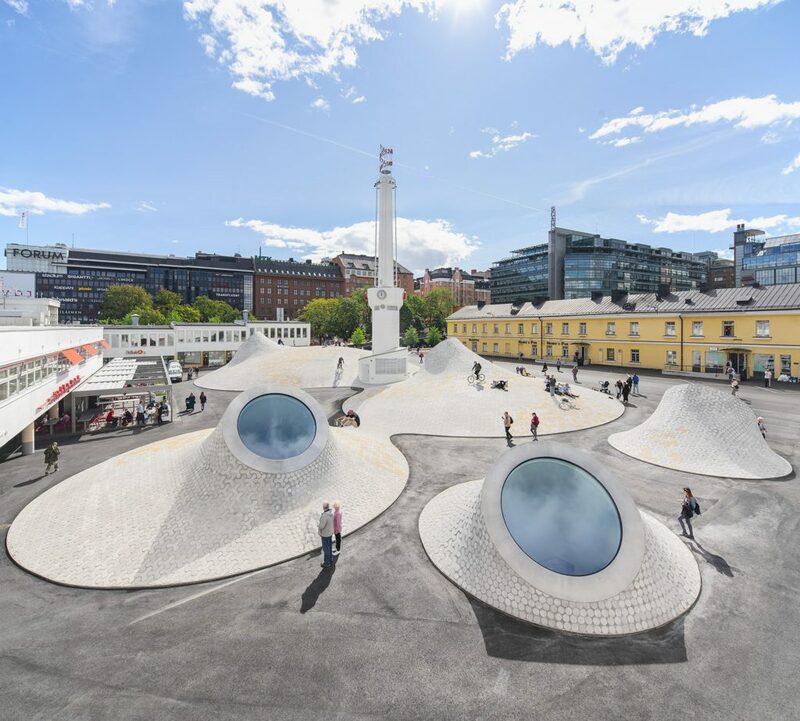 From its inception, The European Prize for Urban Public Space 2018 has aimed to recognise and make known the best works transforming public space in Europe. Well aware of the ambiguities inherent in the notion of public space, this is the only European prize to recognise and promote a space that is both public (open with universal access) and urban. With that in mind, the competition focuses on the relational and civic nature of typically urban space. This year there was 279 candidates from 179 cities across 32 European countries. To see a selection of the best examples, follow the link. It should come as no surprise that our favourite is the winning project, the Renovation of Skanderbeg Square in Tirana, Albania, created by 51N4E architects practice (above). Skanderbeg Square — the nerve centre of the city, is a symbolic site for the whole country that reflects Albania’s complex history. “Skanderbeg” is the nickname given to Gjergj Kastrioti (George Castriot, 1405-1468), an Albanian nobleman who became a national hero after leading a long rebellion against the Ottoman Empire. In 1968, in order to commemorate the 500th anniversary of his death, an 11m high equestrian statue was erected on the south side of the square, replacing a monument to Stalin. Skanderbeg Square is the result of a neo-renaissance-style urban regeneration plan carried out in 1939 when Albania was occupied by fascist Italy. Between then and now there have been various – often controversial plans, to give the square a fresh new look and symbolism. In 2016, city mayor Erion Veliaj revived a former proposal with three main aims: To create a large area exclusively for pedestrian use; highlight the value of all the heritage buildings surrounding the square and finally to create more green space to bring nature back to the city centre. Work was finally completed last year, delivering more than 10 hectares exclusively for the pedestrian use. The centre of the square now features an esplanade of almost 40,000 square metres. Shaped like a four-sided Roman pyramid with a slope of 2.5% and a height of two metres at its tip, it includes a fountain at the top, which lets water trickle down the sides, bringing out the colours of the mosaic paving which is made from stones from all over Albania. The space now also includes a green strip of twelve gardens with trees around encircling the square. One of these surrounds Skanderbeg’s statue, which has also been completely restored. JKMM Architects, a group of architects and designers based in Helsinki, Finland, is behind the new incarnation of what was formerly known as the Amos Anderson Museum. The Amos Rex, an art museum, brings contemporary architecture to the modernist Lasipalatsi building in the heart of the city. The new museum will gently take over the space behind the original 1930s façade and extending underneath the square where it is located. The design includes sizeable, open exhibition halls and work spaces with domed ceilings to negate the need for pillars. Skylights will provide a direct connection to the square above. In London, Make architecture studio has designed the largest set of public gardens in the City Of London, since the completion of The Barbican – the brutalist housing development that incorporates public gardens, a theatre and cinema, completed in 1976. The Wall Place gardens are part of an office-building project that saw Make oversee the design of two office towers, surrounded by public gardens for developers Brookfield Properties and Oxford Properties. 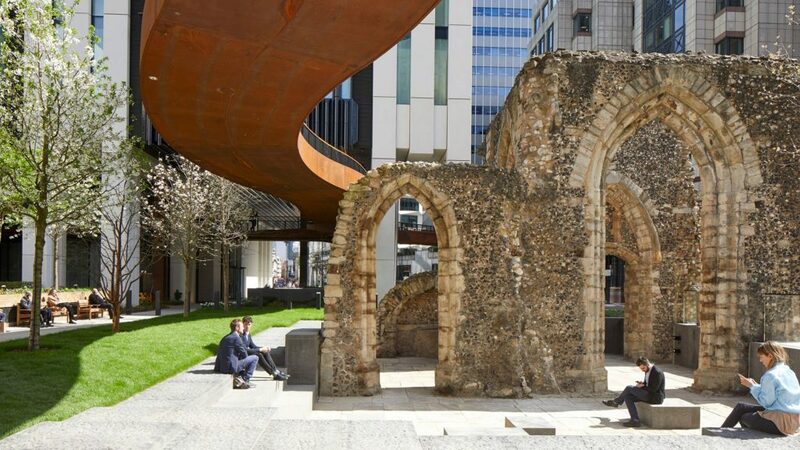 The design for the series of pocket gardens, traversed by sinuous pre-weathered steel bridges, is informed by the site’s long and varied history and included the restoration of a section of the original Roman city wall and the remains of the medieval St Alphage Church tower. The 1.5 acres of gardens are connected by a network of paths and bridges, which reimagine and reinstate the elevated walkways that formed part of the site in the 1960s, and draw a line between ancient, post-war, and contemporary interventions. Sidewalk Labs is designing a district in Toronto’s Eastern Waterfront to tackle the challenges of urban growth.